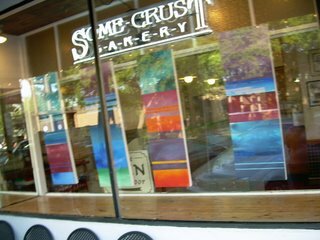 this weekend I was having iced coffee at a local cafe/bakery who needed some art to fill the window as the artist who was scheduled flaked out or something, thought it was a different month or something? 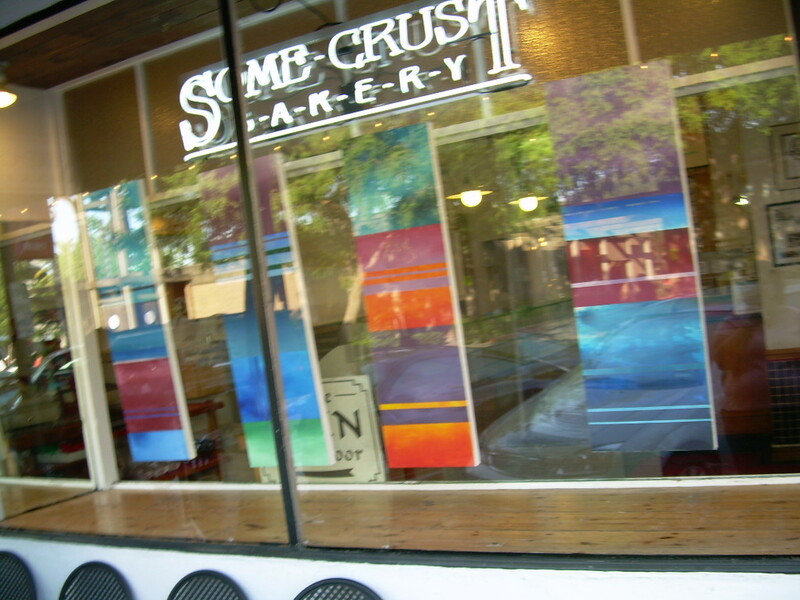 So I have four paintings in their window now, paintings that recently returned from San Diego. I like the way they hang together. (these past few days have been extremely hot around here) I’m hiding inside with all the blinds drawn and the AC blasting (small window unit is better than nothing) – I think I’ll go get a haircut as soon as it’s a little cooler outside. Yesterday stayed warm until about 3am.